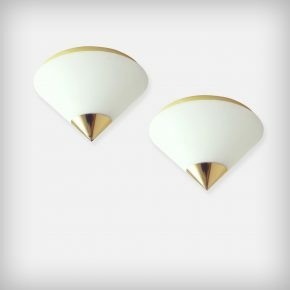 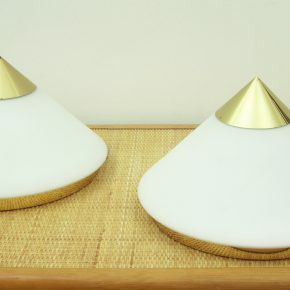 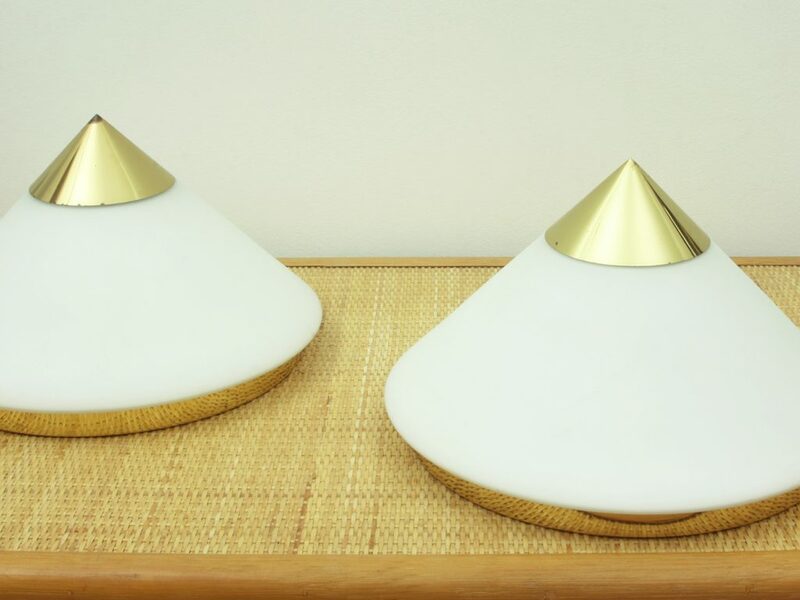 Beautiful set of 2 cone-shaped ceiling or wall lamps. 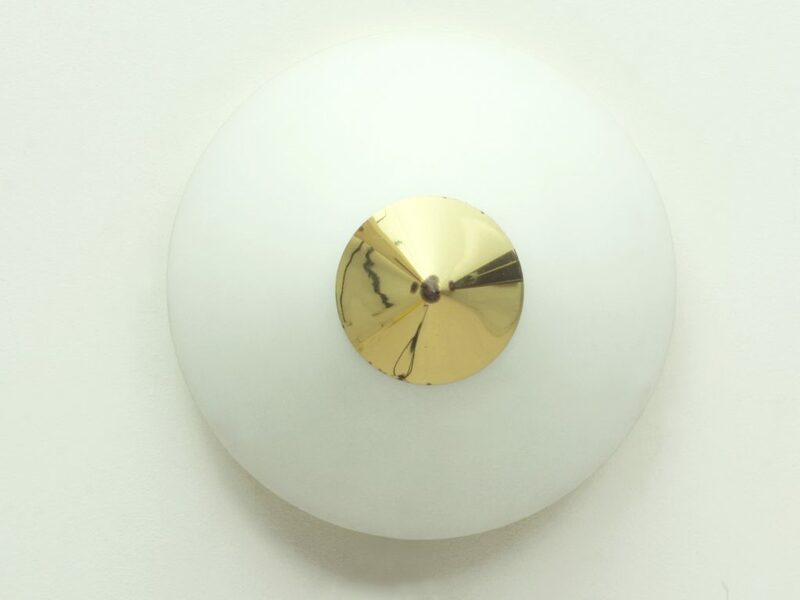 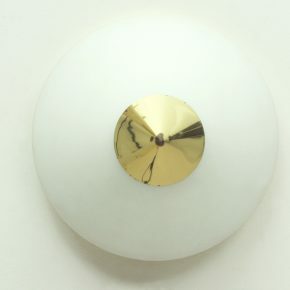 Made of brass and opal glass. 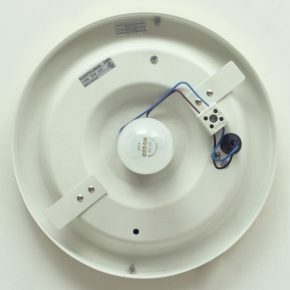 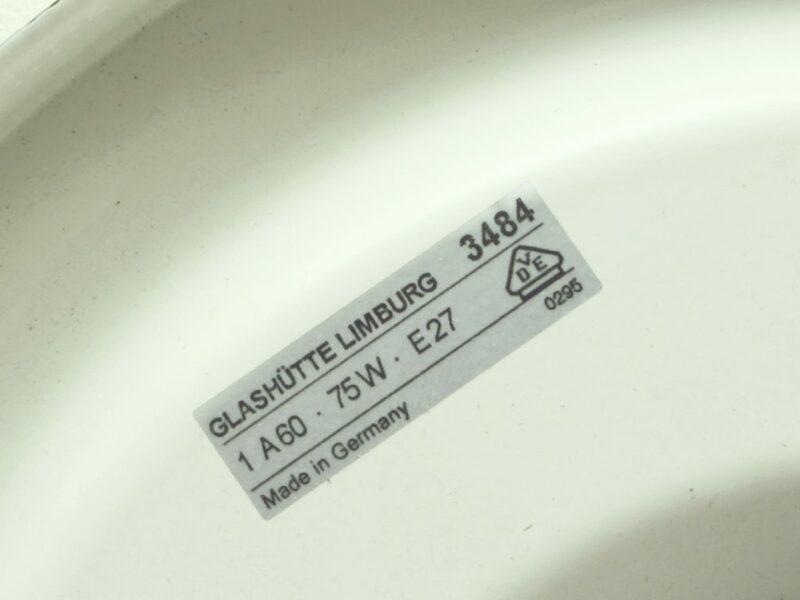 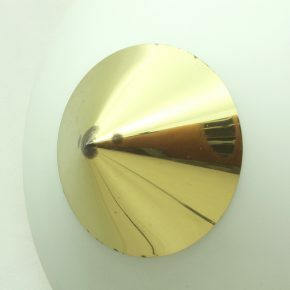 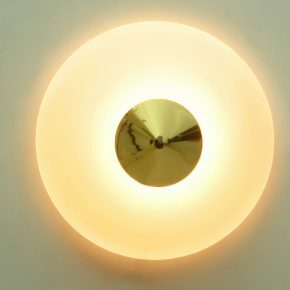 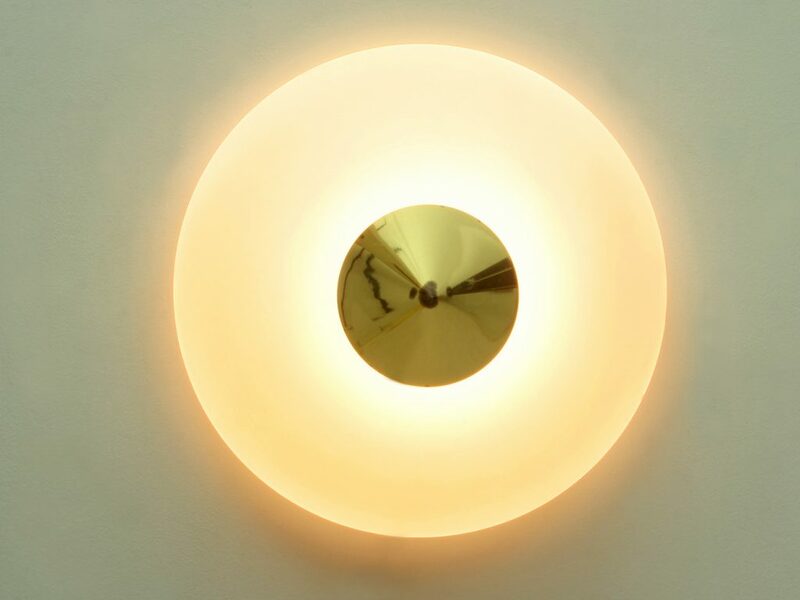 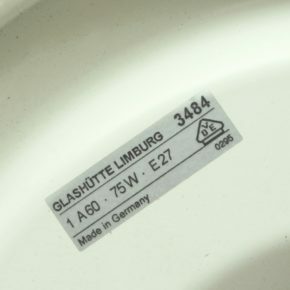 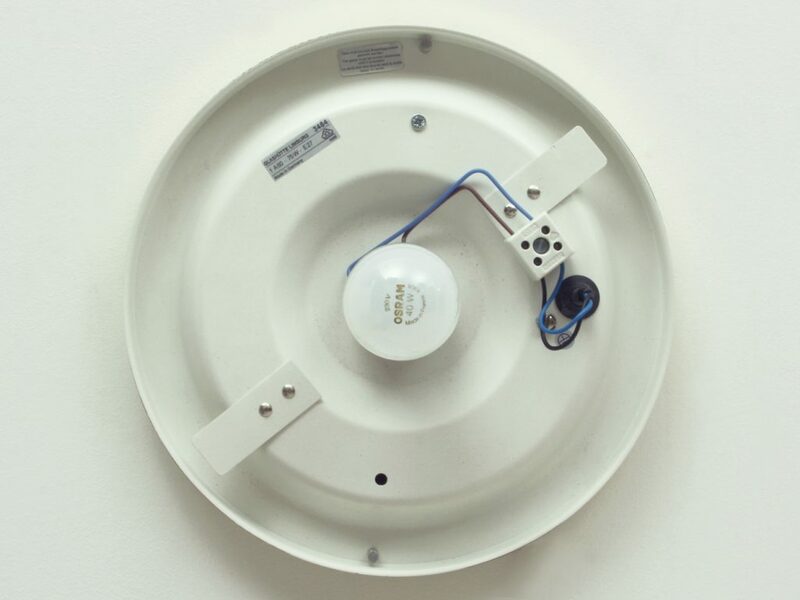 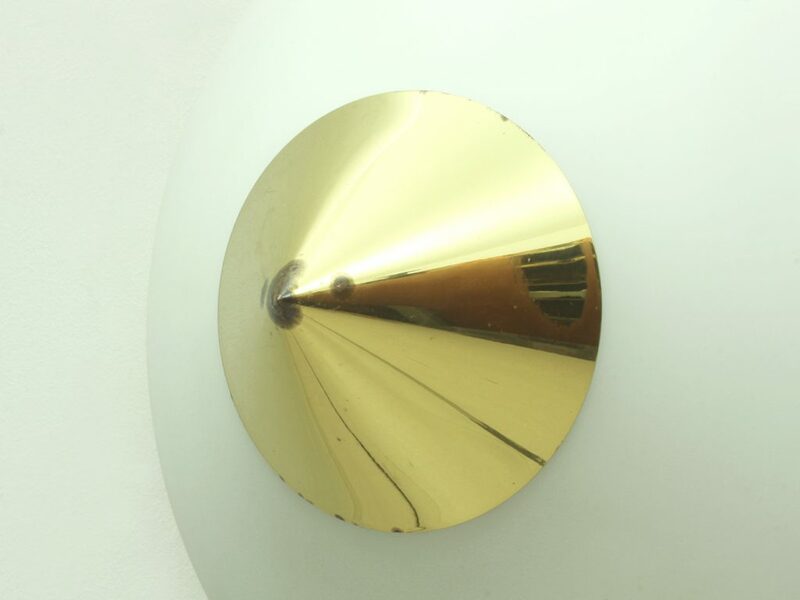 We have a set of 3 wall lights from the same series which harmonizes perfectly.